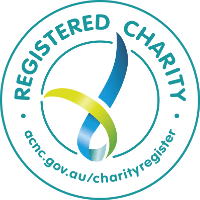 Ian George Court (IGC), AnglicareSA’s exceptional needs residential care facility at Brompton, provides personalised support for disadvantaged frail aged residents who were homeless or at risk of homelessness. 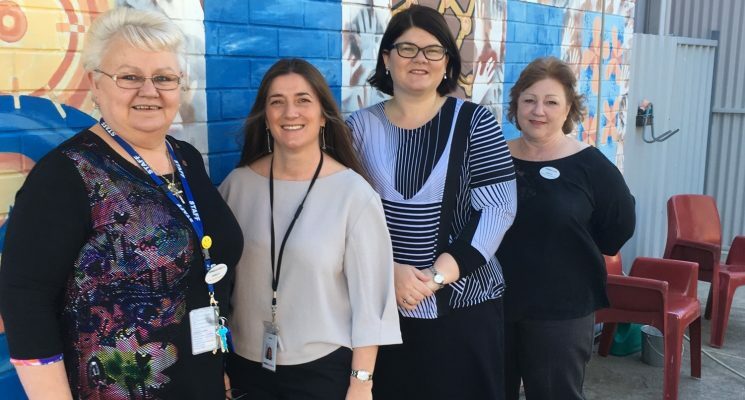 South Australian MP, Zoe Bettison, Minister for Ageing, visited the facility to get a firsthand look at the innovative lifestyle programs and customer-centred care provided to residents. During the visit, Minister Bettison expressed her delight at a care model that truly places customers at the centre of individualised care with advocacy services and a holistic response to residents’ needs. Minister Bettison is pictured here in front of a wall mural at Ian George Court, one of many artworks created by residents that brighten the spaces throughout the facility. Murals have been developed as part of the facility’s tailored art therapy program. Minister Bettison was presented with a copy of the IGC music group’s recently launched CD, Gabi’s Angels and the Wise Men. To read more about the site’s music program, click here: http://anglicaresa.com.au/unlikely-recording-artists-launch-cd/. Minister Bettison said the passion of staff was obvious and she saw the opportunity to replicate this unique model into other aged care services around SA.